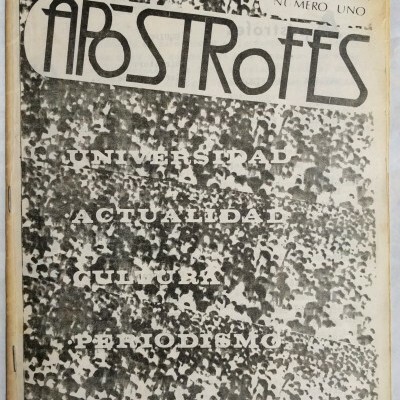 [Chile] [Student Movement] Apóstrofes: Revista de la Escuela de Periodismo Universidad Católica. Año I, No. 1 (May 1982)–No. 3 (Sept.-Oct. 1982) (all published?). Santiago, Chile: 1982. 8vo, three issues: 23 pp.,  pp.,  pp. ; side-stapled mimeograph with illus. wrappers, b/w reproductions of orig. graphics, including cartoons, collage, and photography, light edge-wear and toning at extremities, No. 2 toned, front wrap with small crease. 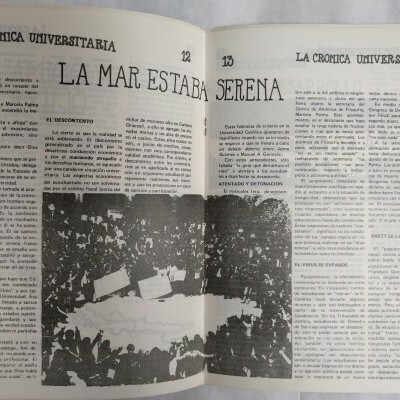 It is within this context that students at the Journalism School at Santiago’s Catholic University began publishing this short-lived serial, questioning the role and relevance of the professional journalist in Chile. Beginning as a general inquiry into the conditions of journalism and teaching, the tone shifts, rejecting university and national hierarchies and censorship. No. 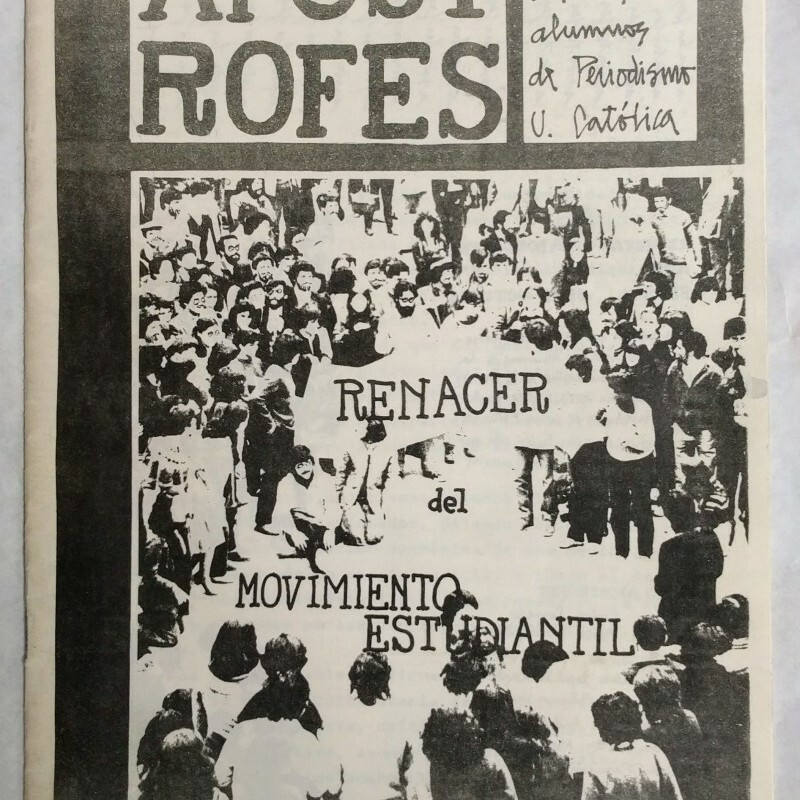 3’s headline “Renacer del Movimiento Estudiantil,” declares the rebirth of the student movement following the arrest and torture of Marcela Palma, secretary general of El Centro de Estudiantes de la Universidad Católica (and sister of the leftist paramilitary Ricardo Palma). Articles report on colleagues in exile and the duty of the journalist to justice and critical thinking. No copies found in OCLC or direct searches of Chilean national online catalogues.